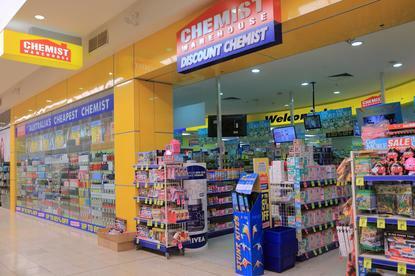 The Chemist Warehouse chain of discount pharmacies is contemplating installing thousands of sensors in each of its stores to track customer preferences and providing augmented reality guides via customers' smartphones that would help them navigate around its stores. The plan was outlined by Antoine Sammut, solutions architect at Chemist Warehouse parent company AM Solutions, during VMware's vForum event in Sydney. "We want to be able to improve the experience for customers," he said. "If you are looking at certain products we want to be able to take you into our stores using augmented reality. "The phone devices out there are starting to become capable of doing that. So using your device we will have a guide that takes you through our stores to the area you are interested in." To understand customers' interests Sammut said Chemist Warehouse was looking at equipping each store with wireless sensors. He said the Internet of Things presented a tremendous opportunity to understand customer behaviour. "We are at the point where we can almost feel what is happening in a store,” he said. “To achieve that we are considering having over 1000 sensors in each store. "That would generate a lot of data, but that is not necessarily information. We need to be able to take that data and process it. And a lot of that information is going to [be] processed at the edge and distilled into information that flows into our environment." Sammut said that, as a retailer, the company needed to be able to understand if a product was interesting to a customer and use that information to improve the experience for the customer. "When we shop we dwell in particular areas, pick up products and look at them. When we have that whole picture we can apply concepts like machine learning: What are people looking at? What is important to us?" He said Chemist Warehouse was looking at using AR/VR for staff training: "These people are used to VR. They have played games all their lives and we need to be able to teach them in a way they understand. "We are looking at the concepts of AR to teach them the tasks they need to do, to guide them at their learning pace." Sammut said Chemist Warehouse's IT plans would need the underpinning of a ‘self-driving data centre’. "The self-driving data centre has to become a reality," he said. "I have very smart people working for me. I don't want them spending their time doing vmotions, working out if an application needs to live here or there. "I want my data centre, my cloud environment, to do that dynamically. I want it to decide, based on the rules and SLAs I set, to move that workload dynamically. We are beginning to get that capability." VMware introduced its vision of the self-driving data centre — the next evolution of its software-defined data centre — at VMworld in August when it unveiled Project Magna, describing it as "part of our smarter products initiative [that] focuses on using reinforcement learning to understand an application’s needs and to continually optimise the application configuration and underlying infrastructure configuration to drive greater performance and efficiencies." It said Project Magna would "make possible a self-driving data centre based on machine learning [and] is focused on applying reinforcement learning to a data centre environment to drive greater performance and efficiencies."